Virtual room planning tools like the one found on Marble.com called Visualizer+ can be useful in planning your kitchen design. With the ability to view rooms with 2D and 360° technology, you can see how a room will look by changing up factors such as cabinet colors, countertop materials and even wall colors. When you aren’t sure about certain materials, using design planners like these can help you through the remodeling process. After you have seen a few stones that catch your eye, then you can visit a slab yard to view them in whole. That might not sound like an everyday family outing, but when it comes to purchasing natural stone, it’s a must. Once a customer has an idea for a stone as their new kitchen countertop or other application, whether that stone is granite, marble, quartzite, travertine or slate, color is just as important. Just because the chosen stone may be a perfect fit for a project, if the stone colors are off, the result will not be one that denotes satisfaction. While samples are good starting points for customers to review stone colors, full slab viewing is the only way to fully visualize the end product. Granite colors, in particular, represent a vast spectrum of natural color combinations, some with fast moving waves, others more subtle in design. Even within those waves or veins, colors can be decidedly different from one end of the slab to another. There may be a rose tint to an area of the slab not present in the sample that could make or break a deal. Relying on samples can spell trouble. Customers need to understand—before venturing into a stone yard—that they can choose whatever section of a slab they wish, and that it will be cut to their liking. That way, they may not discount a slab of granite or marble at first blush; by taking a closer look, they may discover a distinctive section that meets their heart’s desire. The natural stone industry understands the nuances evident from slab to slab, even if cut from the same quarry. The natural stone industry provides a product that is all natural. Just as Mother Nature abhors two snowflakes being the same, no two natural stone slabs are exact duplicates. It is up to the slab yard to educate the consumer about the supply chain, as well as explain that viewing a full slab can reveal that sweet spot containing stone colors they may have been looking for in a natural stone. For those redesigning or remodeling kitchen space, full slab viewing can be like a kid perusing a candy store. Folks envision kitchen countertops in granite and marble and seek a wide inventory from which to choose. Those kinds of consumers love variety and love to “ooo” and “ahh” as they pass by and inspect slabs of natural stone. That’s why it is imperative that your container be filled with as many diverse natural stone bundles as possible to satisfy even the most fastidious customer. And to please the masses, joining Slab Market allows slab yard owners and natural stone fabricators to buy direct from quarries to increase natural stone options. White marble, for example, is timeless, classic and sophisticated all at the same time. Even with the booming popularity of granite, marble is still in class by itself. Fill your containers with as much white marble as your yard can accommodate. 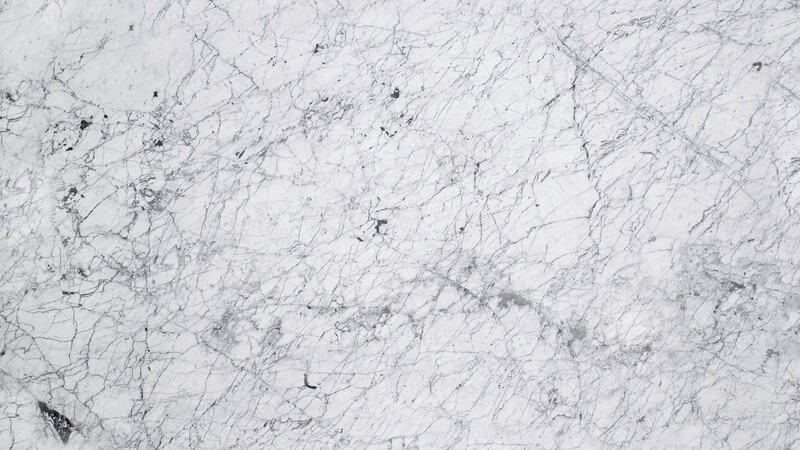 Slab Market offers an assortment of white marble, some with dark bold veins such as Calacatta Extra; Calacatta Borghini or Bianco Goia with slight gray veins; and White Thassos, an all-white stone. Your containers should be filled with not only granite and marble, but bundles of quartzite. The more people hear about this natural stone option, the more they are seeking it out. Quartzite countertops are durable and as strong as granite. As the name infers, quartzite contains more quartz than granite and is formed from sandstone, while granite originates from molten lava. Pure quartzite is white, but nature adds some diverse colors. Some consumers have complained that their quartzite etches like marble, which is not the case. The culprit is slab yards that mistakenly label marble as quartzite. Slab Market will not get this wrong and you will always get what you expect, that is a beautiful marble or quartzite stone.